Heat oven to 400° F. Line cookie sheet with foil. Spray with cooking spray. 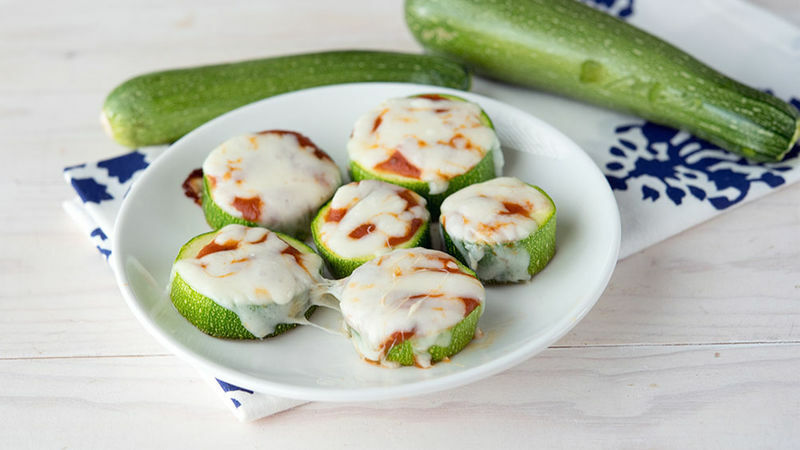 Cut zucchini into 1/2-inch slices. Place on cookie sheet. 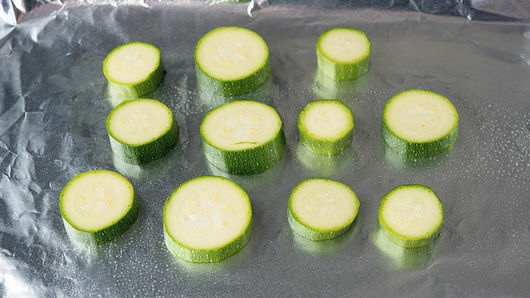 Bake 6 to 10 minutes, depending how firm you like your zucchini. 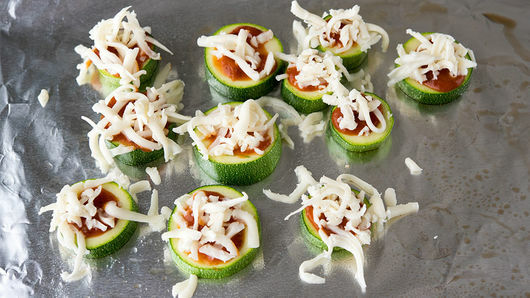 Top each zucchini slice with about 1/2 teaspoon pizza sauce (use 2 to 3 tablespoons) and shredded mozzarella cheese (use 1/4 cup). Bake 4 to 5 minutes or until cheese is melted. Serve hot. Add a slice of pepperoni, olive or your other favorite pizza topping on top of the mozzarella for a fun twist. Don’t want to heat up your oven? Bake this in a toaster oven! Baking time might be affected, depending on your oven.